ATREQ 22mm Mini Power Band 4-23kg is a multi functional professional grade strength resistance band which is smaller than the standard power bands preventing the need to be doubled or quaded over to create the required tension. Designed to be used for strength and conditioning, rehab and exercise they are a good way to strengthen muscles and tendons during a workout. 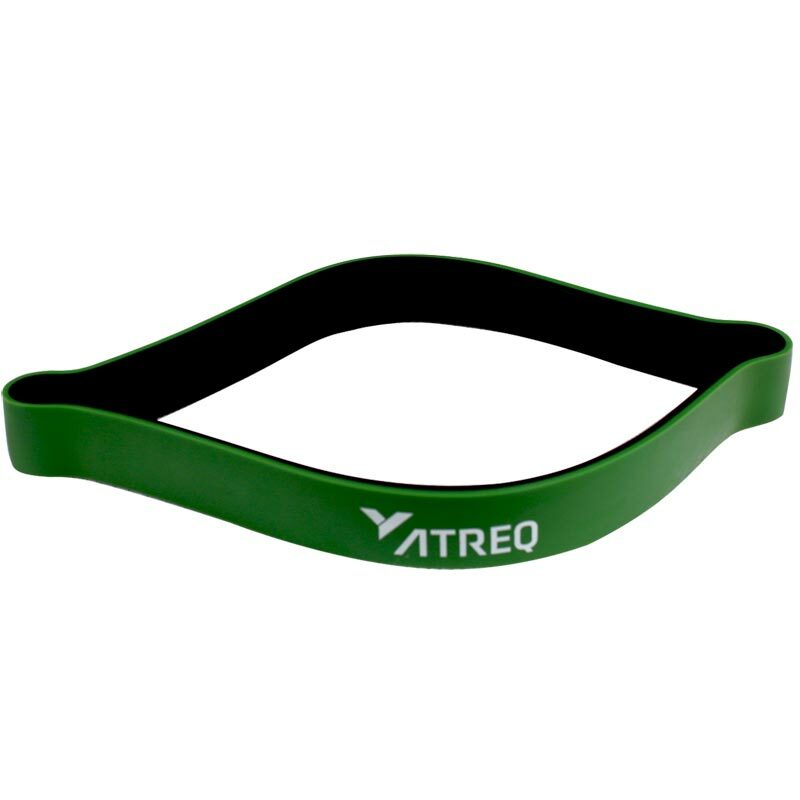 Each band is of varying widths creating different levels of resistance. Start with the lowest level of resistance and build sets and repetitions gradually, once the exercises become too easy, move on to the next level of resistance band. Colour: Green - 300mm x 22mm x 5mm - 4-23kg load capacity. 30cm long (60cm loop) x 5mm thick.